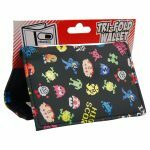 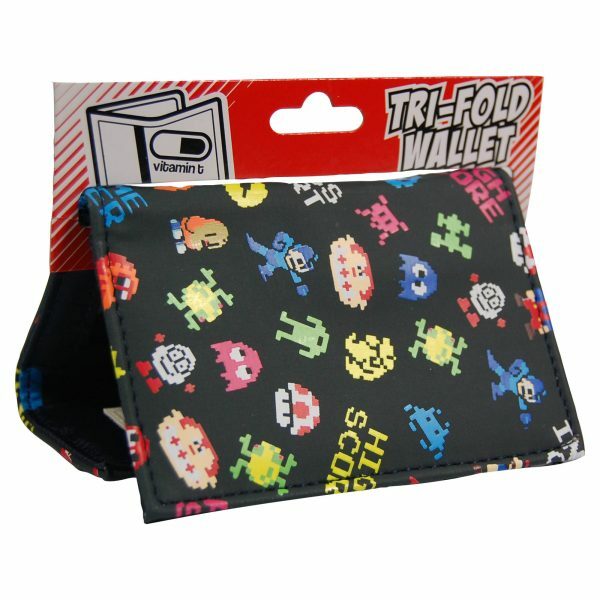 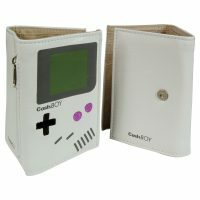 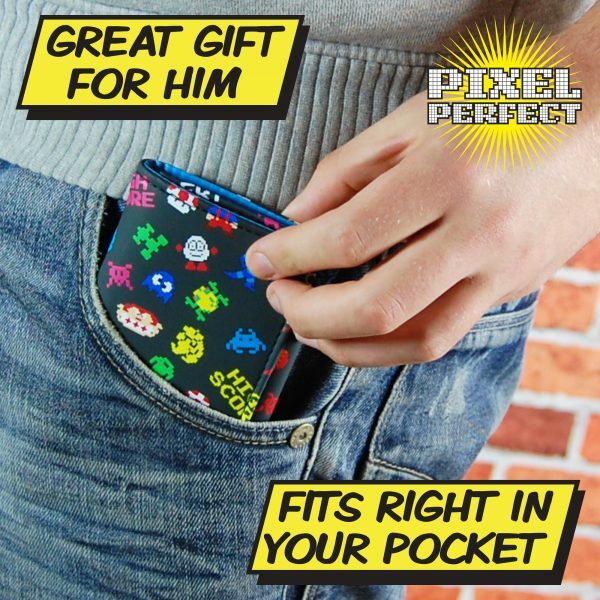 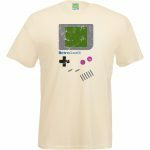 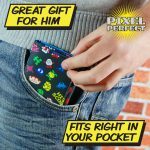 Cool high quality wallet featuring retro 8-bit video game characters such as Megaman, Frogger, Bubble Bobble and Mario. 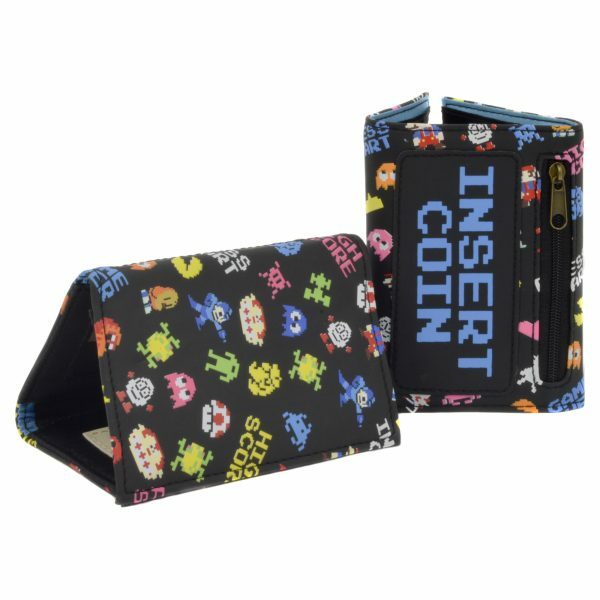 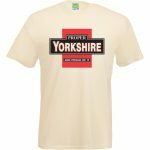 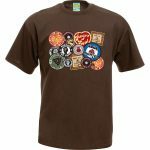 Features the text “Insert Coin”. 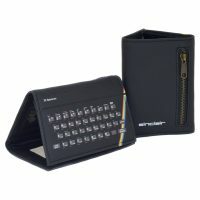 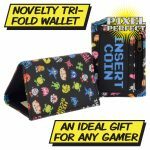 This fashionable waxed PVC tri-fold wallet makes a perfect gift for any arcade veteran. 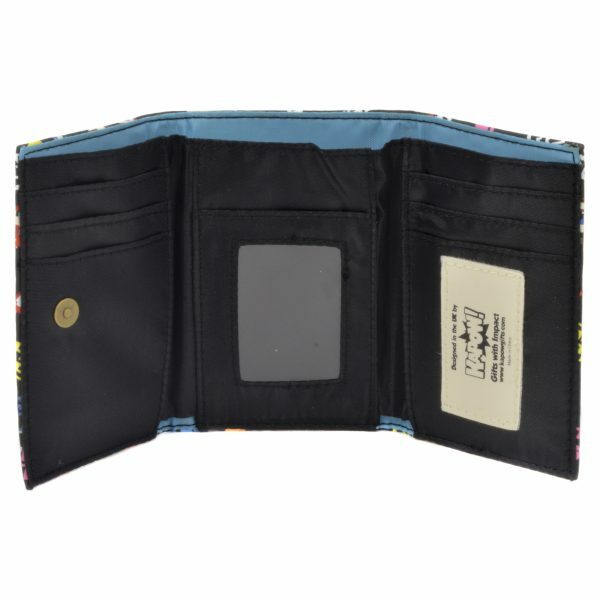 Has plenty of room for cards, a photo slot, zipped compartment and space for banknotes. 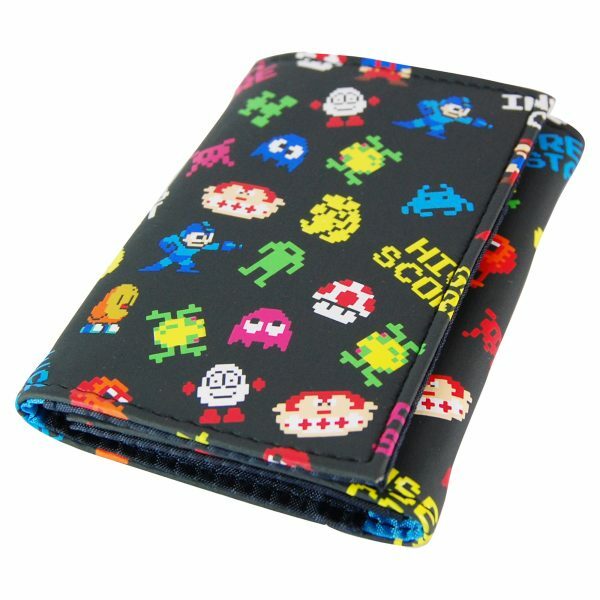 Measures approx, when closed, 8cm wide x 11.5cm high.